Want a piece of Chanel couture? 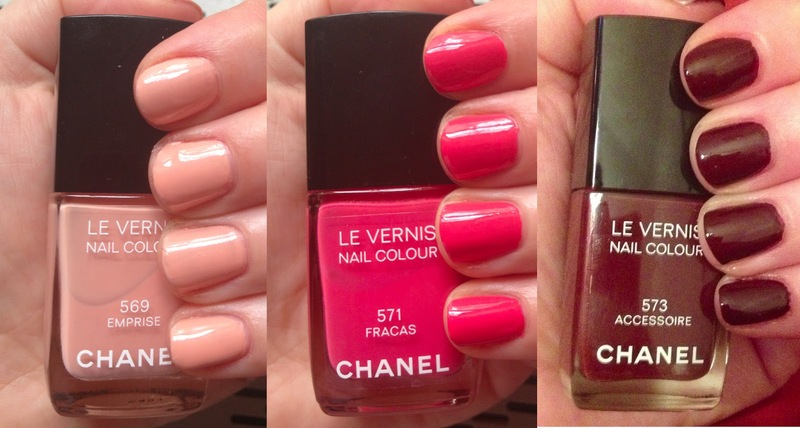 Well, you're in luck -- because the Chanel 2013 Spring Couture Nail Polish Collection is here! 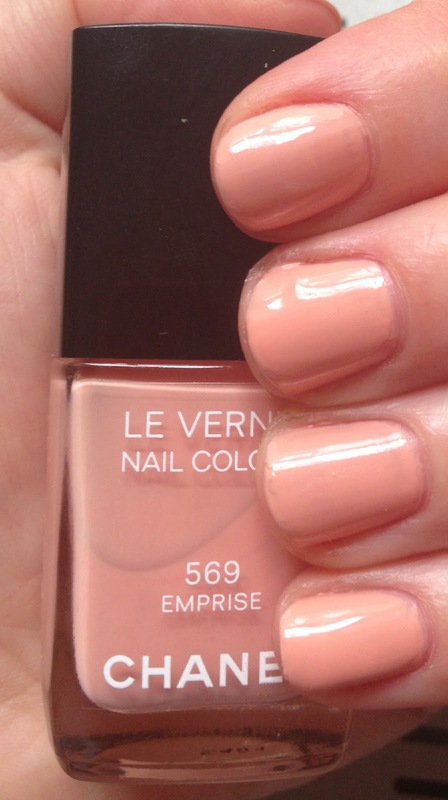 Each of the three nail polishes in the collection is chic and sophisticated, but with just a little edge. Emprise is a pale pink. This was my least favorite of the three, just because I'm really not a pale pink kind of girl and the shade is a bit too milky for me. I also had some application issues with it -- even with two coats, it wasn't completely even and showed a lot of streak marks. Fracas grabbed my attention the moment I unwrapped the package. It's a bright (and I mean BRIGHT) cerise with gold shimmery undertones. It looked a lot more coral once on the nail and I really couldn't see the shimmer even in sunlight -- it's one of those Chanel polishes that's sort of frustrating to me, because it's so great in theory but then doesn't look the same once out of the bottle! 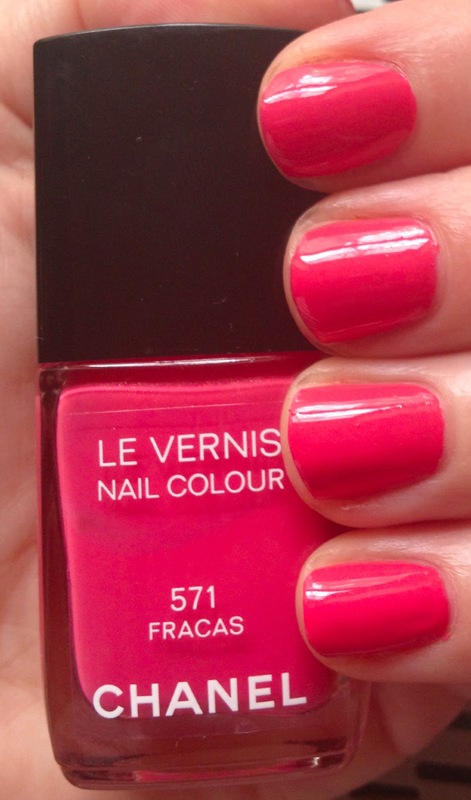 Nevertheless, it is a gorgeous color. 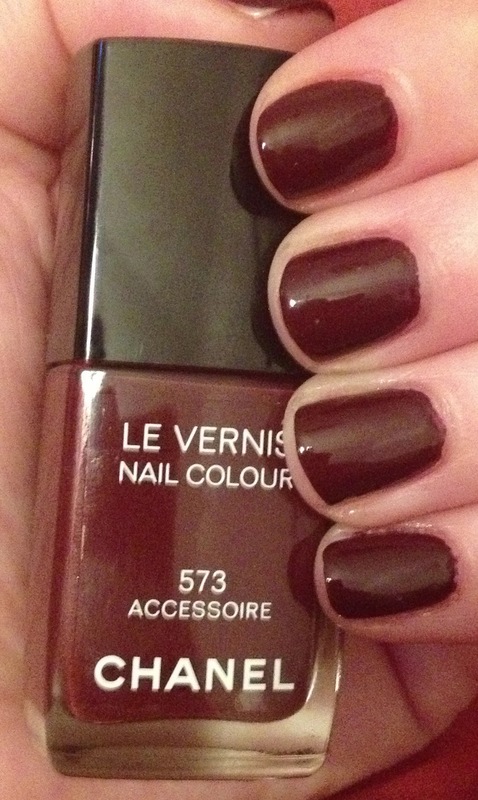 Accessoire was the dark horse of the three for me -- in the bottle, it looked a lot like other dark, vampy Chanel colors. But once on the nail ... WOW. It's a true deep oxblood -- creamy, opaque and perfect in two coats. Actually, one coat yielded perfect color, but I went for two -- and have kept it on all week with minimal chipping, which is pretty extraordinary for Chanel polish! Overall, I like this collection. Fracas and Accessoire both applied well and looked gorgeous on the nail, I just wouldn't choose Emprise if push came to shove. Each polish retails for $27 and they're available at chanel.com.